An Israeli poll has named Russian President Vladimir Putin as their person of the year for 2015. Putin was the clear winner with almost 30 percent of the vote, ahead of German Chancellor Angela Merkel in second place. The survey was carried out by the Jerusalem Post and its sister Hebrew-language publication Ma’ariv Sof Hashavua. It polled a total of 527 Jewish adults on Tuesday, while there was an error margin of 4.3 percent. 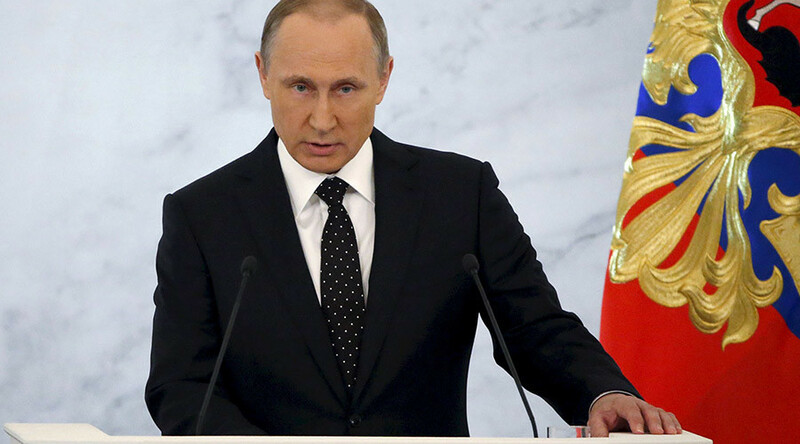 The results certainly showed that President Putin has made an impact on the people of Israel during 2015. He received 29 percent of the vote as the respondents were asked to choose their person of the year. Sixteen percent opted for Chancellor Merkel, who had been previously chosen as TIME magazine’s Person of the Year for 2015. Benjamin Netanyahu received 15 percent of the vote, while Islamic State’s leader Abu Bakr Al-Baghdadi had 3 percent of voters thinking he was their person of the year. The survey also asked Israelis about their opinions regarding a number of different issues. A total of 45 percent of those asked say that terrorism was the biggest problem facing Israel, while just over two-thirds of Jewish adults do not believe that a diplomatic agreement can be reached with the Palestinians. There was not much hope amongst the public that Iran would stick to its side of the bargain regarding the nuclear deal signed with a number of global powers. Nearly 80 percent believe that Tehran will break its promises, with only 6 percent saying that Iran would keep to the deal.